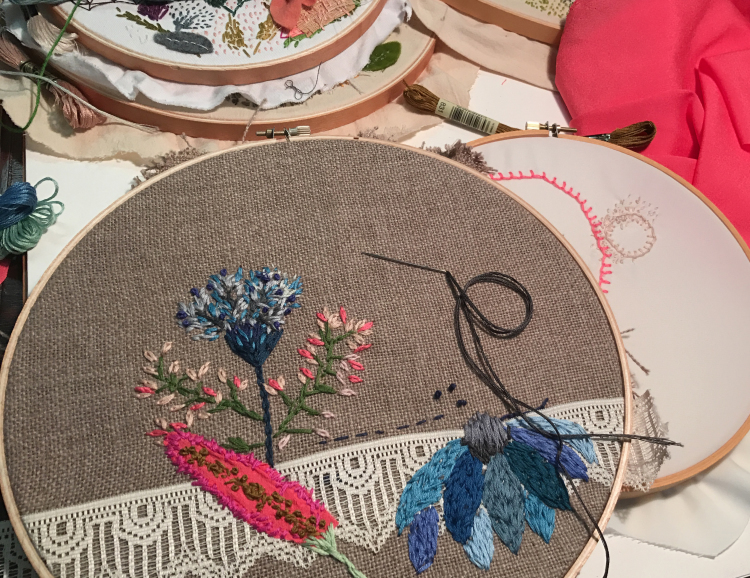 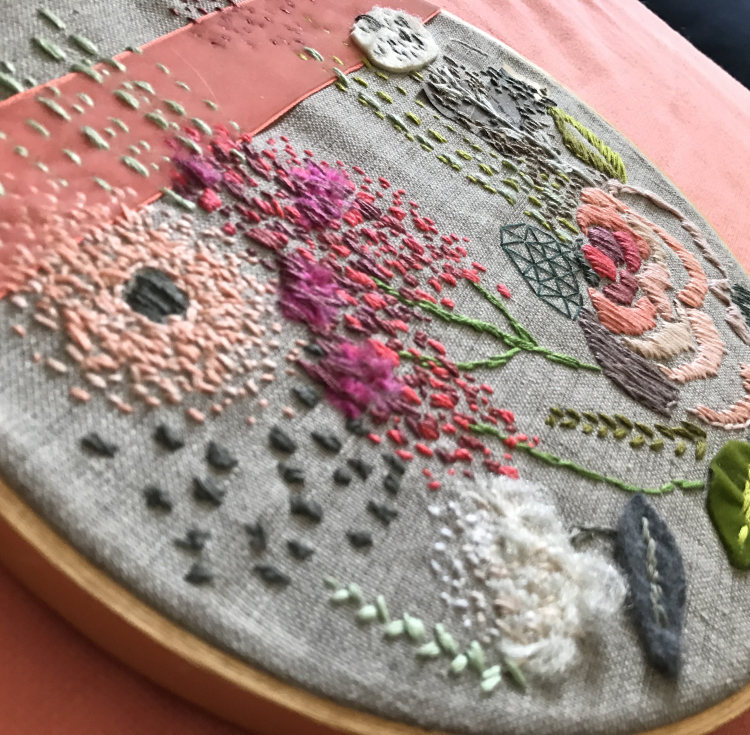 Join Wendy Brightbill for an embroidery course where you will explore with needles to create beautiful, one of kind, hand stitched pieces. 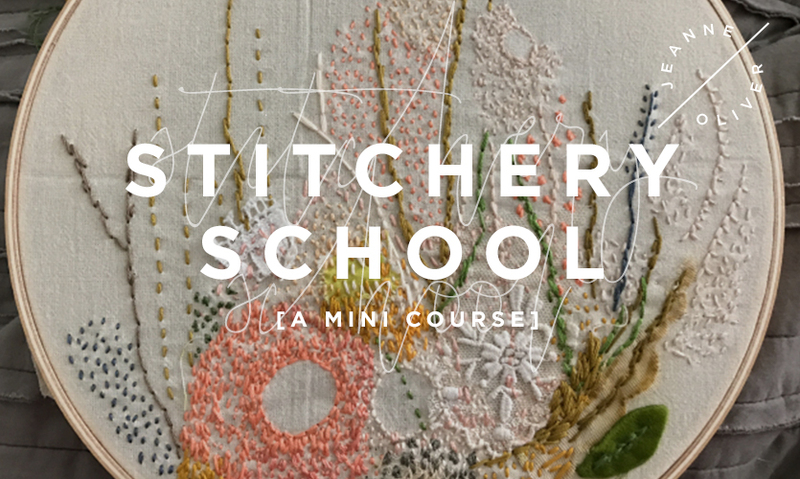 Learn some basic stitches and how to incorporate collage elements in your stitching. 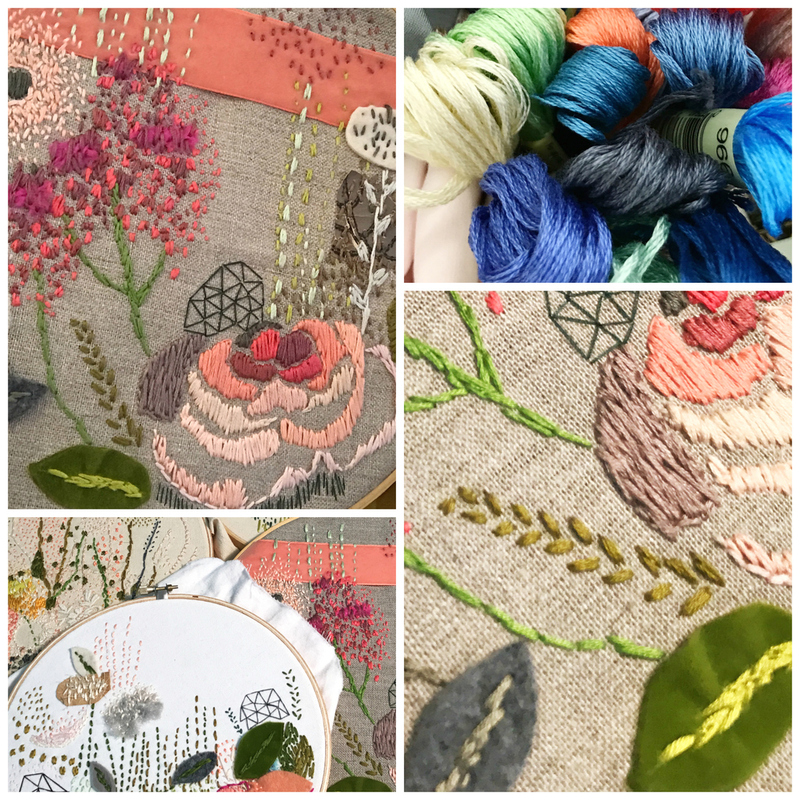 Embrace the texture found in fabric, fibers and embroidery. 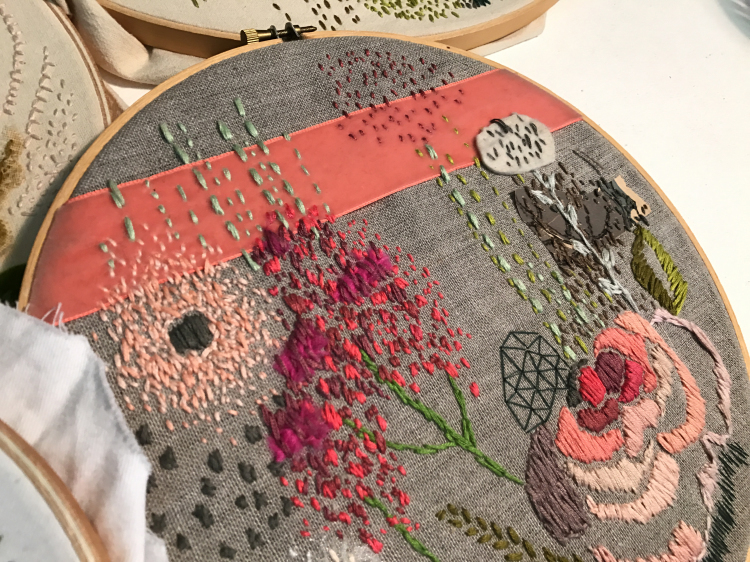 Layer lines, create shapes and make marks all with your needle and thread. 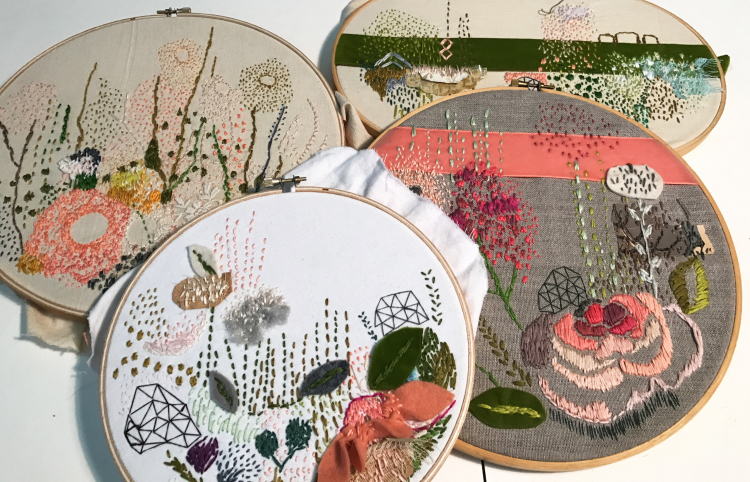 Let your fabric and your hoops be your blank canvases. 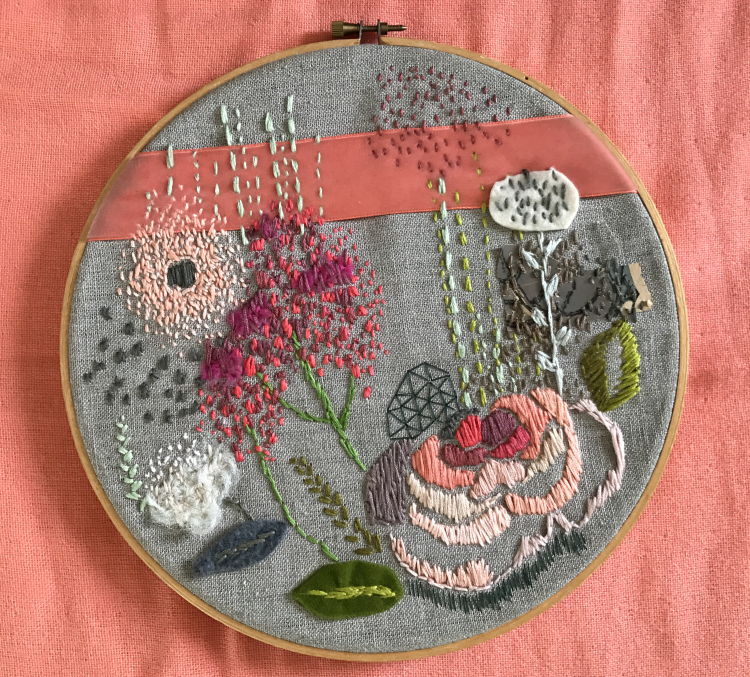 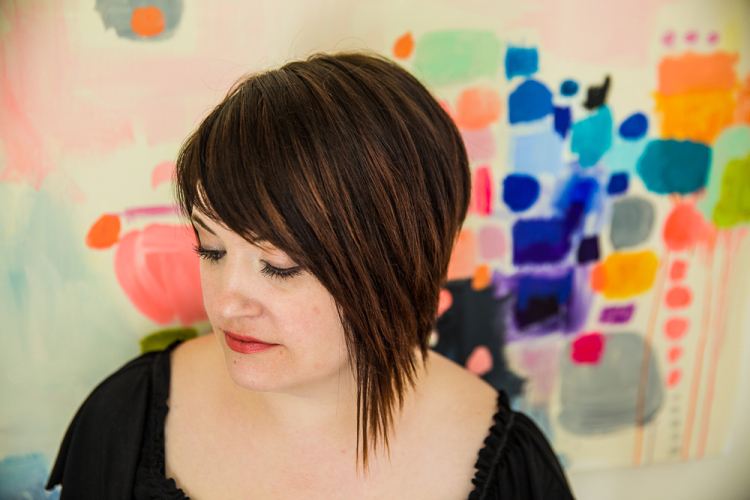 Learn how to make an abstract floral piece from start to finish.